The final cookie in our series is another one from my mother’s collection. 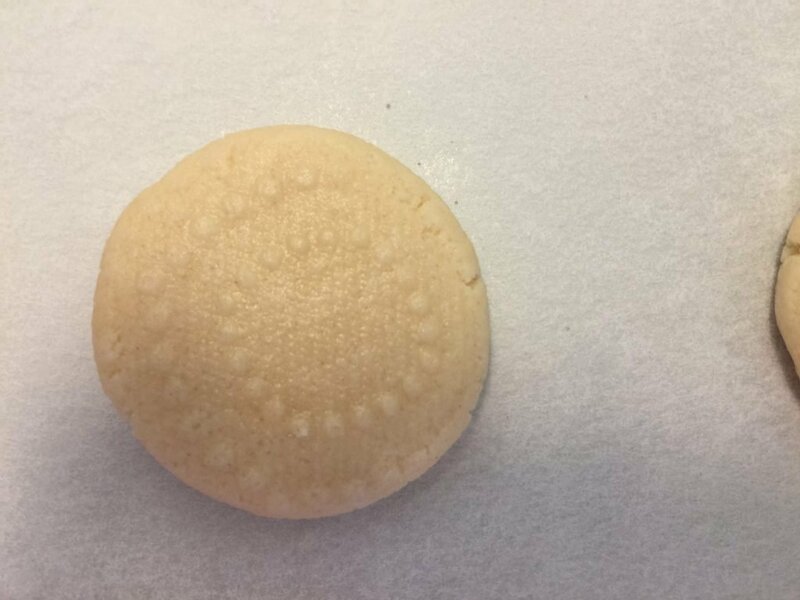 I never knew who Kathy was that the cookie was named for, but the cookie makes such a nice sugar cookie you will be sure to add this one to your collection. You will need to cream the first six ingredients. Sift together the last four dry ingredients. Add in increments a 1/2 cup at a time to your cream mixture until all is mixed well. Take a teaspoonful of the batter and roll into a ball. Try to get all uniform in size. I then take a glass with a flat bottom and cover with a patterned paper towel and wrap it on the bottom of the glass, tightly. 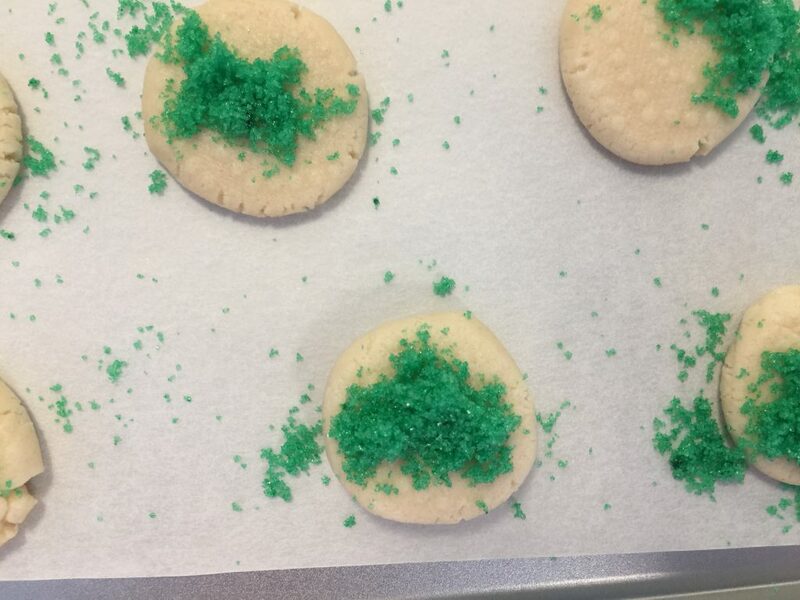 Press each cookie lightly so they are all flattened. You may buy the pre-colored sugar or other sprinkle toppings, but I just color my own. It’s easier and inexpensive. For this step, I measured 1/3 cup of sugar in a plastic container. To this I added 2 drops of food coloring. Make sure the container has an airtight lid that you can just shake the sugar until all the color is dissolved. 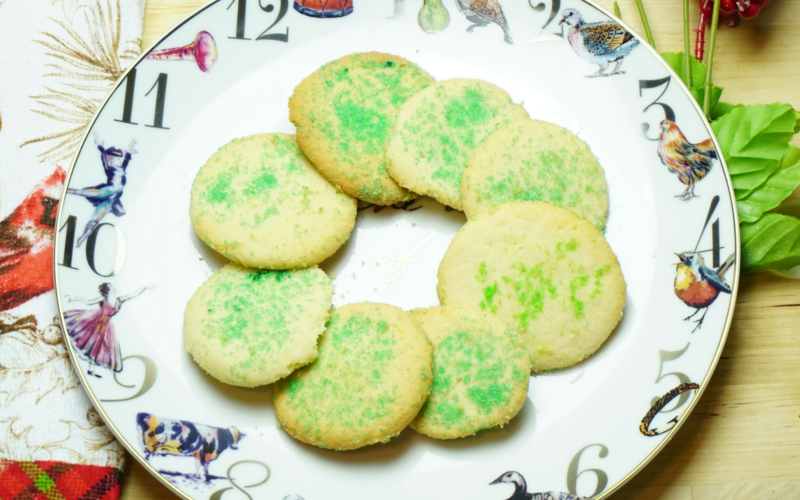 Once you have your sugar done, spread each cookie with a small amount before baking. Now they are ready to pop in a 350º oven for approximately 10 minutes or until the edges are golden brown. This makes a large quantity which is good for sharing as gifts, or feeding your hungry crew at home. Either way, these wonderful little cookies will disappear quicker than Santa! Cream the first six ingredients. Sift together the last four dry ingredients. Add in increments a 1/2 cup at a time to your cream mixture until all is mixed well. 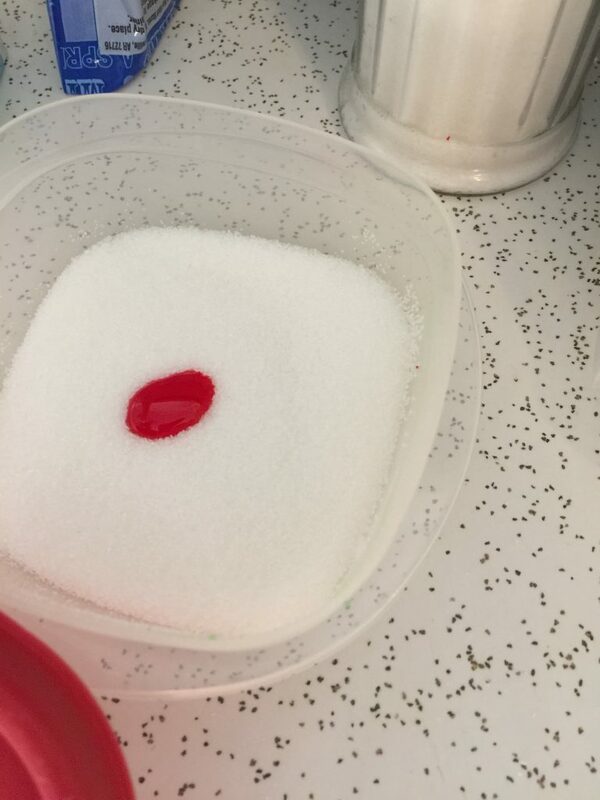 For colored sugar topping: Measure 1/3 cup of sugar in a plastic container. Add 2 drops of food coloring. Make sure the container has an airtight lid that you can just shake the sugar until all the color is dissolved. 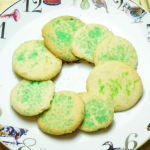 Once you have your sugar done, spread each cookie with a small amount before baking. Bake 350º for 10 minutes or until edges or brown. The amount the recipe makes depends on how big the cookies are. This makes around 4 dozen or more for us and they make fantastic gifts!